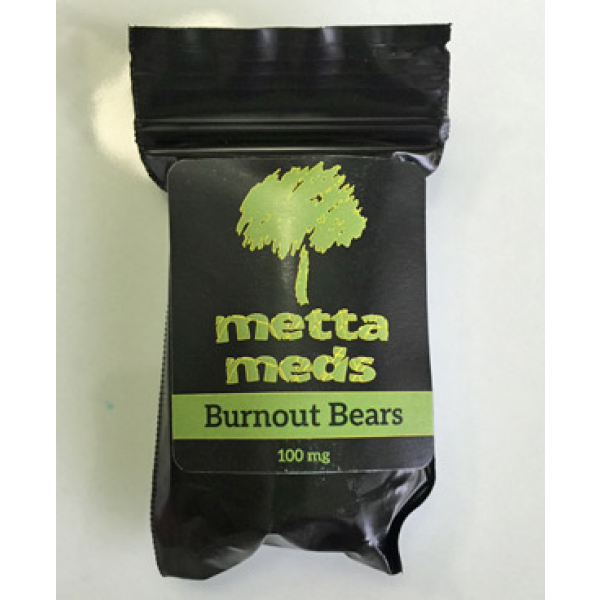 Burnout Bears taste incredible & provide a consistent dosage for pain relief. One package contains 10 x 10mg THC gummie bears (100mg per pack!). 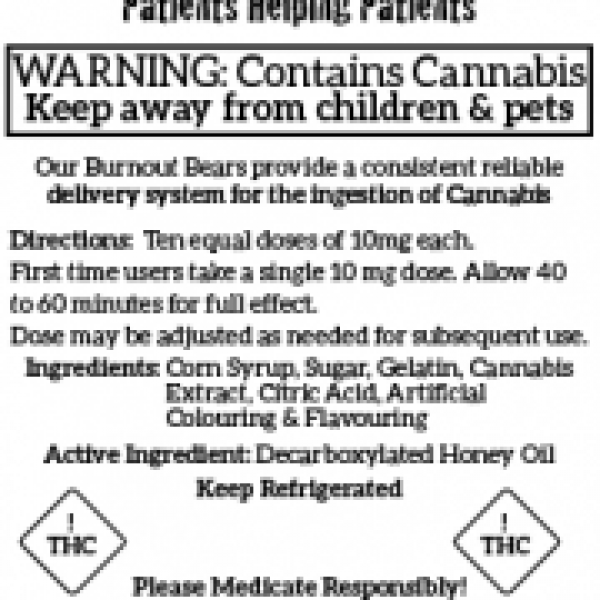 Ingredients: Corn syrup, sugar, gelatin, THC concentrate, citric acid, artificial flavouring & colour. 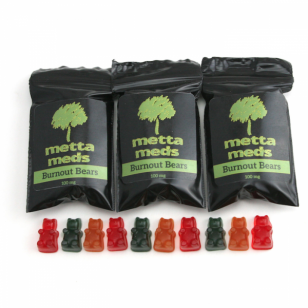 Burnout Bears taste incredible & provide a consistent dosage for pain relief. One package contains 10 x 10mg THC gummie bears (100mg per pack!). Great product for micro-dosing! Ingredients: Corn syrup, sugar, gelatin, THC concentrate, citric acid, artificial flavouring & colour.